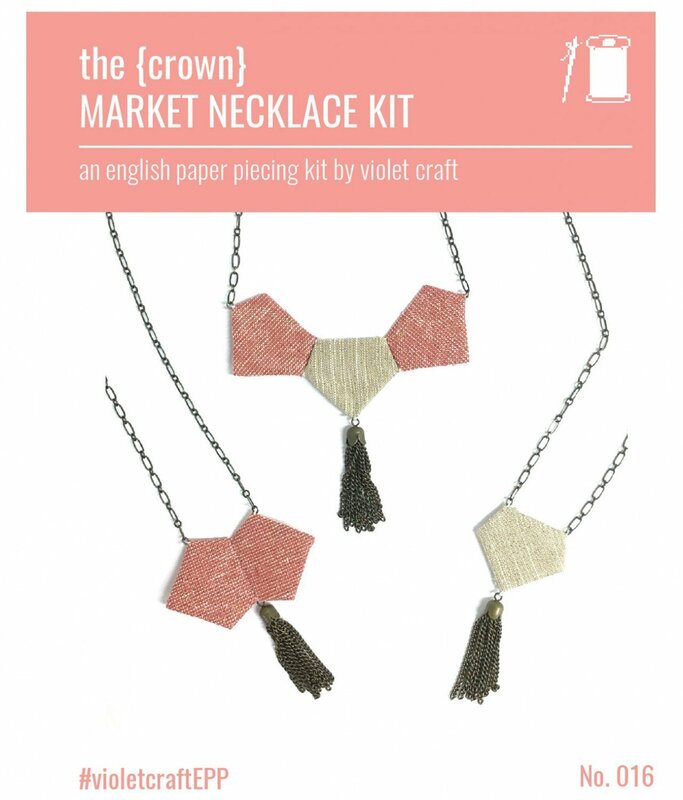 Create your own jewelry with fabric scraps and this English Paper Piecing kit! The Hexagon Market Necklace kit can be styled infinite ways to create a personalized, unique necklace design. Use your own favorite fabrics with the enclosed paper templates, chain and tassel.